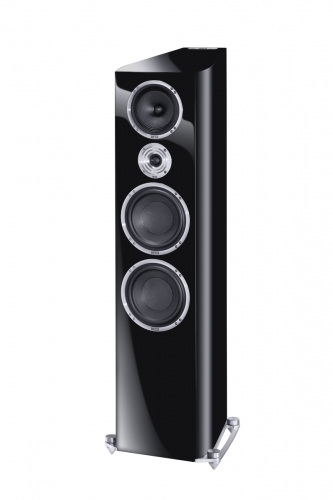 Large state-of-the-art floorstanding speaker with outstanding acoustic properties. 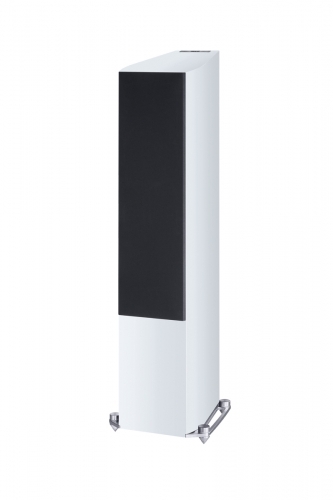 Eye-catching features of the largest floorstanding speaker in the series include its angled top and solid aluminum struts, which provide a broad base for a secure footing. An exquisitely coordinated high-end floorstanding speaker with solid aluminum struts and height-adjustable metal spikes. The optimal weight distribution and acoustic decoupling from the mounting surface ensure an audiophile listening experience of the highest level. Compact high-end shelf speaker with an audiophile configuration and a distinctive visual appearance. The most striking design elements include the angled top with the embedded metal HECO logo, as well as the rounded side panels and rear tapered housing. A 300 mm bass chassis, which is driven by a High Power Class D amplifier, makes this HECO active subwoofer a staple in the Celan Revolution home cinema setup.Bass reflex construction with three airflow-optimised and screwed reflex tubes and aluminium flanges. 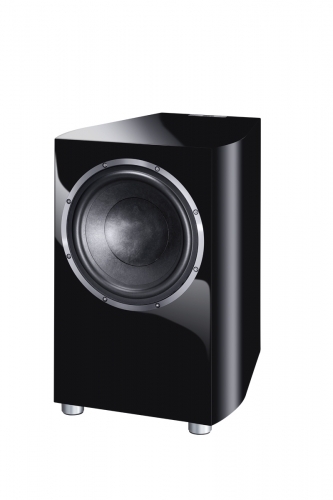 As the flagship, it offers maximum acoustic performance with two 200 mm subwoofers and a 170 mm mid-tone chassis. HECO´s Music Style 900 is the largest floorstanding speaker in the Music Style series and it is equipped with three 170 mm bass/mid-range chassis. An extremely lightweight silk compound dome tweeter caters for a transparent implementation of the frequencies in the treble range. HECO´s Music Style 500 is the smallest floorstanding speaker in the Music Style series and it is equipped with two 170 mm bass/midrange chassis. Crossover frequencies 50 - 150 Hz adjustable. Naturally, only components of the highest quality and innovative technology have been employed to ensure that these loudspeakers also deliver maximum acoustic performance. HECO´s Celan GT 302 is the only shelf speaker in the series and features a 170 mm bass-midrange driver in addition to the newly developed tweeter. 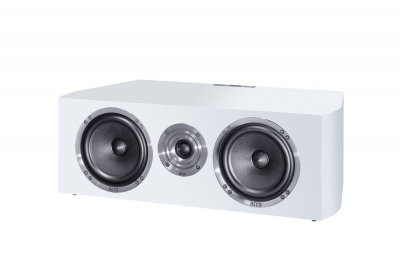 The newly developed high-energy tweeter with large 30 mm PFC dome to which an aluminium front panel with wave-control horn and double magnet system belong are housed in the attractive bass-reflex unit. 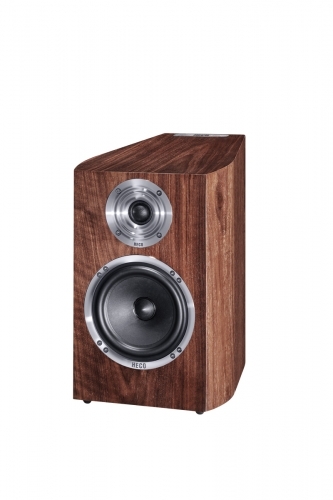 The loudspeaker may be used as a shelf loudspeaker or an on-wall loudspeaker. All of the individual drivers used for this model have been perfectly coordinated and configured to ensure an outstanding level of precision. Recommended Amplifier Output 30 - 180 Watts . HECO´s Celan GT 902 is the largest floorstanding loudspeaker in the series and features enough space for a double-bass configuration.